Aren't these adorable? 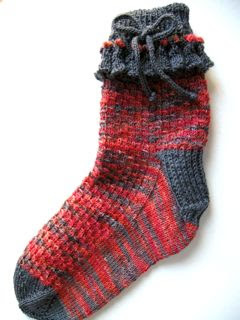 I came across this pattern, from Lagerman Knits, on ravelry and you have to be a member to purchase the pattern. It's the Mother May I? pattern from Phyll Lagerman and it was not only very easy to follow, but produced great results. She is a talented sock designer and you will find it difficult to decide which to start first.